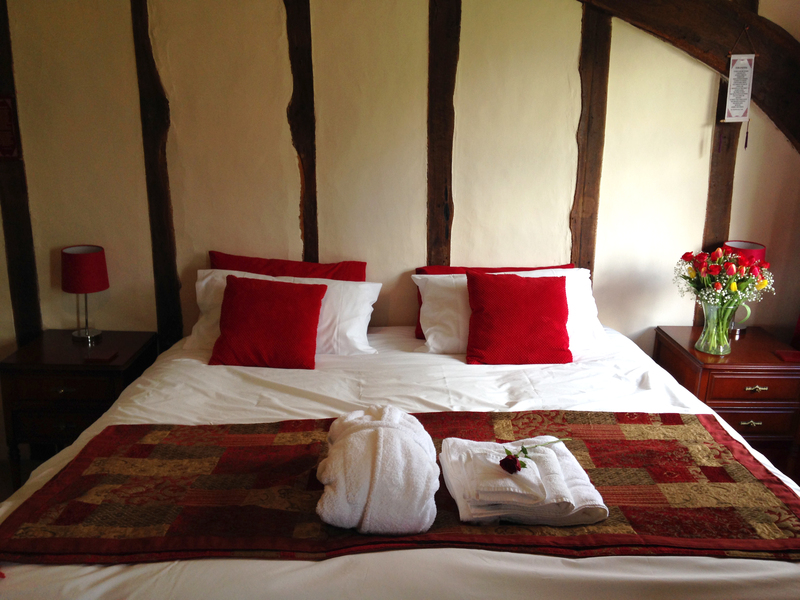 Our largest and grandest room is situated in the Tudor part of the house above the dining room. 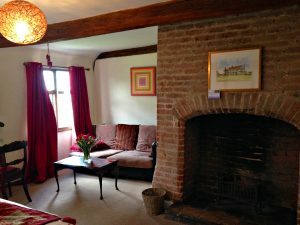 It can be set up as either twin or double occupancy, with views over the yew trees and fruit garden. There is much space to relax in the lounging area with light pouring in through both sets of windows. Read a book, have a snooze or enjoy the local art for sale on the walls as you recline on the sofa. 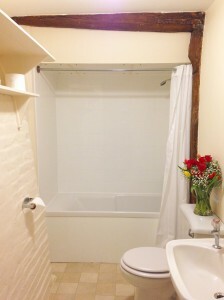 There is an en suite with beams and bricked wall from the adjoining fireplace, making this a sublime place to take a soak in the bath if you don’t fancy a shower. And the gorgeous Arbonne toiletries will tantalise your skin cells into ultimate smoothness.